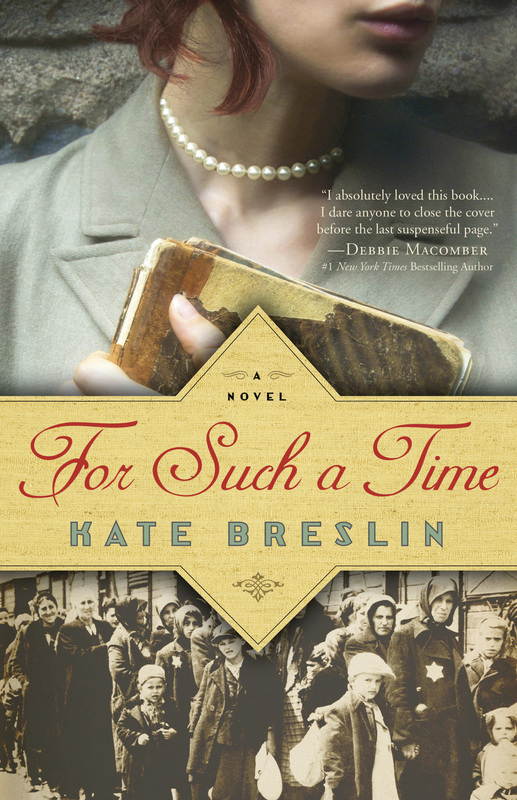 For Such a Time is a unique retelling of Esther based during the Holocaust. Hadassah Benjamin (hiding under false paperwork as Stella Muller) is rescued from a shooting line and finds herself in the odd position of working as a secretary for SS Kommandant Colonel Aric von Schmidt while her fellow Jews (including her uncle Morty) endure the harsh conditions of the Czechoslovakian transit camp, Theresienstadt, that borders her new “home.” Worse, her people are progressively being transported to Auschwitz, and she is ordered to type up the lists of names finalizing their transportation and certain death–all while hiding her true identity, struggling with her faith, and feeling that God has abandoned them. I enjoy how this narrative finds freedom in expressing the heart of the Esther story outside of its traditional setting. The events, especially in the climax and finale, unravel creatively, so as to bring fresh insight to the original. There is a bit of awkwardness surrounding the romance between Stella and Herr Kommandant–but perhaps this was true of Esther and the Persian King as well within their married relationship? I would have liked more attention to have been given to Aric’s faith and feelings, which were alluded to on many occasions, but never explored to the extent of Hadassah’s. I also felt there was too much emphasis placed on Stella as the savior of her people (rather than an emphasis on the recognition of God at work); and also too quick of a spiritual spiritual resolution for Stella’s own question of faith. That said, the book does well at its intentions to entertain, bring freshness to a beloved biblical account, and to reveal and remember the horrors of the Holocaust and God’s faithful presence even in our most difficult hours. 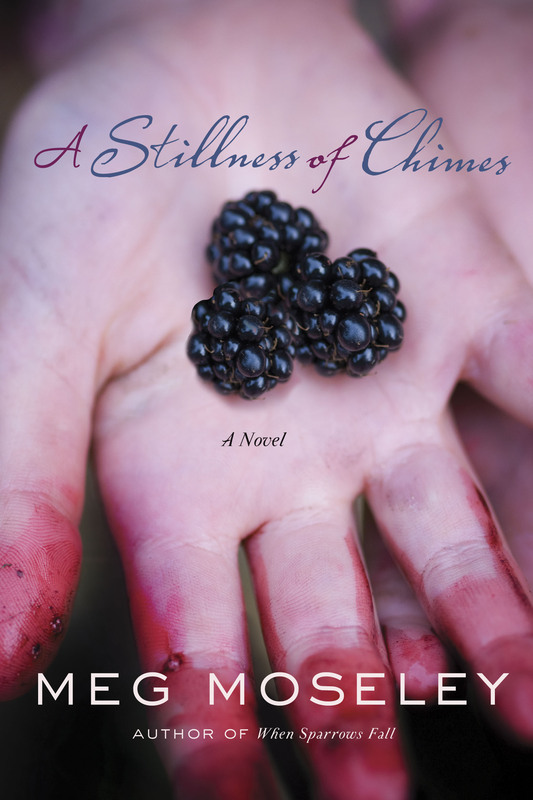 This is also a wonderful debut novel to start off Breslin’s endeavor into historical fiction. This is my new favorite book of the season! I was drawn it because I am a big fan of Rene Gutteridge. 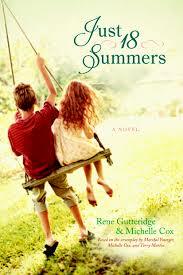 I was a little hesitant of the book itself, because I don’t tend to read fiction about family life; but I loved it!! It made me laugh out loud in one scene, get teary-eyed in another, and overall encouraged, inspired, motivated, and heightened the love I have for my own young children and parenting endeavors. I am not sure I would have been so wrapped up in the characters were I not a mother, but it really pulled on my heartstrings. I immediately connected and/or empathized with each character and situation, and I think other parents and grandparents will be moved likewise. The premise is that four very different families are facing unique parenting challenges. There is a single dad raising a daughter after his wife’s recent death, a couple pregnant with their first child, a family trying to have a “summer of fun” as their two eldest are leaving the “nest”–one to marriage, and the other to college, and another family prioritizing their outward appearances and opportunities while neglecting to spend quality time together. The lives of these families entwine with each other in a humorous and often emotional way. The story was inspired during a baby dedication as Michelle Cox was touched by the pastor’s sentiment that the couple would have only 18 summers with their little one, so to make them all count. This was the birth of the 18 Summers brand, and this story which Cox first made into a screenplay, and which has now been novelized by Gutteridge. A film is in the works, and I am excited for its release. Happy Passover/Pesach/Pascha/Easter Season! May you all have blessed holiday celebrations within your traditions! In my theology class right now, we are talking about the resurrection of believers upon Jesus’ return. He is the “fruit fruits” of the harvest, and we likewise will be resurrected through Him–first those who are “sleeping” (a reminder that we do not experience death even in death itself), then those who are alive when He returns (1 Thess. 4:16-17, 1 Cor. 15:20, 23, Isaiah 26:16-21). Why are believers going to be given new bodies? “Now may the God of peace Himself sanctify you entirely; and may your spirit and soul and body be preserved complete, without blame at the coming of our Lord Jesus Christ” (1 Thess. 5:23). It is not just our spirit and soul that is made perfect and reconciled to God, but also our body. There is a partial sanctification of our bodies even now, as the Lord graces us as our healer. But the physical body, like the physical world, cycles into decay and destruction–things get old, and they begin not to work as well. In the Kingdom, the cycle is opposite: everything moves from glory to glory. The resurrection of our physical bodies is a fullness/consummation of that new cycle into our glorification with Christ. Those who are made imperishable can no longer exist alongside the perishable (within a perishable body); thus, we need new bodies. It is like the parable of the wine and the wineskins or of mixing the old and new garment. The spiritual and the physical will be mended together upon Jesus’ coming; but in order for that to happen, everything that does not reflect the Kingdom must be done away with (like our old bodies), and made new. “So also is the resurrection of the dead. It is sown a perishable body, it is raised an imperishable body; it is sown in dishonor, it is raised in glory; it is sown in weakness, it is raised in power; it is sown a natural body, it is raised a spiritual body. If there is a natural body, there is also a spiritual body” (1 Cor. 15:42-44). How will they differ from our current bodies? I have already mentioned that while our current bodies are prone to aging, illness, and decay, our new bodies will instead follow the Kingdom principle of glory to glory: “But we all, with open face beholding as in a glass the glory of the Lord, are changed into the same image from glory to glory, even as by the Spirit of the Lord” (2 Cor. 3:18). This begins in part now, but in fullness only upon the day of the Lord. Notice Philippians 3:21 says Jesus will “transform our lowly body that it may be conformed to His glorious body.” He is not going to “replace” our body so much as completely transform it. We will still be ourselves, but in the vision God had of us at the Creation of the world. We will be imperishable, glorified, powerful, healthy, and perfect in Him! We can also glean insights about our resurrected bodies from observing Jesus’ resurrected form. Jesus’ resurrected body was a combination of the physical and the spiritual in perfect unity. He was not a spirit, but came in corporeal form. People could see Him, and touch Him (Mat. 28:9, Luke 24:39, John 20:27-28). He was able to eat food (John 21:12-15). But He was also able to transport from one place to another and/or walk through walls–in other words, He had no physical hindrances (Luke 24:31, John 20:19). We can likewise expect to experience the completeness of the physical and spiritual realms at-one-with-each-other (atoned) in our resurrected state. I most look forward to the deepness of intimacy with God and each other that is so beyond what we know and crave in this world that the marriage relationship will not be necessary (Mat. 22:23-30). I also imagine exciting new possibilities like flying/levitation, and other adventures beyond our wildest thoughts and dreams. It will be glorious. Praise the Lord for dying for us, so that we can follow Him into death and resurrected life! An orphan from birth, Lydia is raised in Cleopatra’s palace, and becomes the personal handmaiden to her son, Caesarion (Ptolemy Caesar, son of Julius Caesar). She is also trained in the ways of the God of Israel by her Jewish father-figure, Samuel, an old man who also works in the service of Cleopatra. When Samuel is killed, Lydia is left with a mission larger than herself–to deliver the ancient scroll of Daniel to the Chakkyim (Aramaic for “Wise Men”). 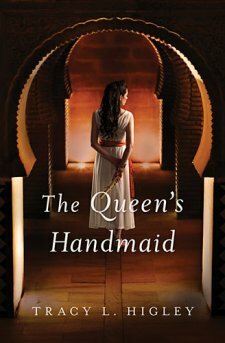 In order to fulfill Samuel’s last directive to her, she becomes a handmaiden to Herod’s wife Mariamme I, where she finds danger, adventure, romance, and discovers her true identity in more ways than one. The novel begins in 39 BC and spans several years, locations, and people, particularly expanding on the relationships between Egypt (Cleopatra), Rome (Marc Antony), the Idumeans (Herod and his family), the Hasmonean Jews (especially Mariamme and her brother Octavian, who became called “Augustus Caesar”), and the Jewish Zealots. I am not too familiar with this period, and enjoyed learning along with the story, which follows the historical account pretty closely. There were a few chapters where the years and locations changed in a way that was easy enough to follow chronologically, but more difficult to connect to the characters because of the quick transitions. It may have helped to simply introduce the date and location within the chapter header as the first chapter had done, so that the reader is emotionally prepared for the new setting rather than caught off guard as the chapter unfolds. As I was reading these few chapters, I began to consider that maybe I did not like the book much after all, because it began to feel too plot-focused, and I was struggling to stay connected to the characters as I tried to piece together the events. I am so glad I kept reading! The story picks up as the physical setting and time became more settled, and the characters’ personalities began to resolve in a dramatic way. The last half of the reading was everything I enjoy in a novel: a thorough historical backdrop, deep character tensions and personalities, mystery, action, and romance–and there was even a bit of realistic “charismatic” spiritual action between the sorcery of one of the characters and the power of God emanating fluidly through His servant, Lydia. I have read and enjoyed a handful of Higley’s books, and appreciate the extra research that went into making this one especially memorable. It is one I will likely read again. Laura Gantt returns to her Southern hometown to bury her mother and settle the household accounts only to be confronted with rumors that her father–long presumed dead–may actually be alive. As she begins to investigate the rumors for herself, a mystery into her parent’s relationship unfolds. Laura also reconnects with her childhood friends, including her former beau, Sean, who is still in love with her and wants to protect her from the physical and emotional chaos surrounding the recent events. I have read a couple of Meg Moseley’s books, and really enjoy her writing. This is a character-based story with so much depth into each personality that it’s easy to relate and emphasize with each one. The narrative was intriguing and mysterious and quickly drew me in, even though the plot itself was pretty calm. There were a few times that I would be so caught up in the dialog that I would suddenly notice a scene shift too late and have to backtrack to find when the characters had entered the house, or gotten into the car, or whatnot. Often these scene changes were presumed instead of directly acknowledged, which made me take the occasional pause from the otherwise fluid prose. I also felt that the end was a bit rushed. The mystery itself eventually came to light, but the depth of the characters and their internal struggles seemed to stop all at once, rather than come to a full emotional conclusion. I enjoyed the story so much only to feel incomplete with its finale. I also think much more could have been made of the spiritual element, which was introduced in the beginning, but not continued throughout. So, I am a bit torn on whether or not I would recommend this one; but I did like it overall. 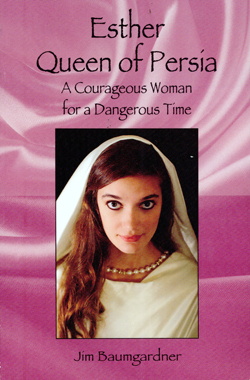 Finally, an Esther narrative that is intentionally true to the historical account! This book is well researched, and the biblical gaps are realistically portrayed to correspond with the foundation of Scripture. It took me a couple chapters to fully engage with the characters, but then I was captivated. Esther is wonderfully presented as a humble and intelligent young woman in addition to her outward beauty. I wondered if a male author could adequately present the emotions behind her situation–being forced to throw away her dreams of a Jewish marriage to unite with a king who has so many other wives and concubines and who could have even rejected her after just one night of sexual intimacy. Baumgardner’s depth into Esther’s character, however, is right on the mark. It is a heart-wrenching story that delves far beneath the surface into the complex identity of Hadassah/Esther. I will say, I don’t think the book’s cover fully expresses the depth of its content. The cover illustration of Esther is beautiful, but I think would be better presented over a full-sized scene of Shushan with Esther in the foreground–comparing her humility with the pagan extravagance of the Persian empire. The writing itself presents this context well. It is hard not to feel for Esther’s situation, and to marvel at her response in the midst of a difficult time. I was also a little thrown off by an embellishment at the end with integrating the battle techniques of the Chinese. While this addition is historically possible, I thought it distracted from the fluidity of the story, and its focus on the faithful and dependable God of Israel. Even so, this is the best fictional rendition of Esther I have read thus far. I really enjoyed the historical detail to the 5th century B.C. world, the well-developed characters, and the integration of the Scriptures–not just from the Book of Esther, but from many other books of the Tanakh (OT) that the characters would have been familiar with as an oral foundation for God. I received a complimentary copy of this book from the author, Jim Baumgardner, for the purpose of providing an honest review.